This Republican Scutum is a classic piece of equipment that no self-respecting Roman soldier would ever be without. This shield is impressively large, and features a design reminiscent of Roman soldiers thanks to its red and yellow color scheme. As the shield was largely considered to be a Roman soldiers first and main form of protection for their body, Roman shields tended to be large, offering coverage and protection for most of the soldiers body, including the torso and the legs. The size of a Roman shields also meant that they could also be locked together to form in a testudo formation (also known as a tortoise formation) to create a near-impenetrable shield wall. 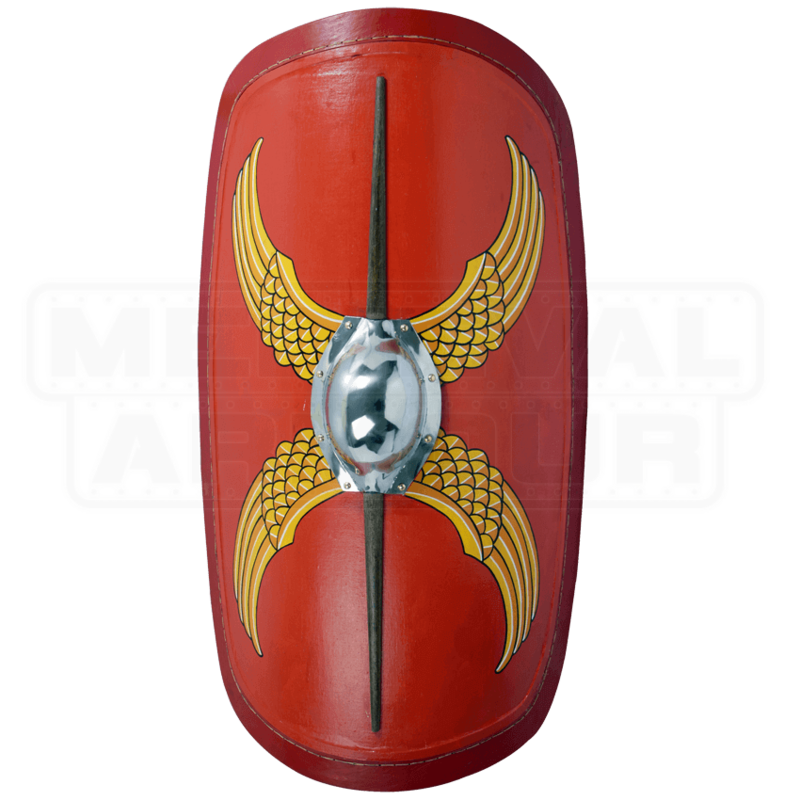 This shield features a rectangular shape with rounded edges, as well as a red face decorated with a steel-metal shield boss and two pairs of wings that flare out from the center of the shield. The shield measures approximately 50 inches tall and approximately 34 inches wide. Depending on your grip and your personal strength, you can hold this shield vertically or horizontally, changing what and how the shield handles and defends. As its name suggests, this Republican Scutum hails from the Republican era of the Roman Empire. 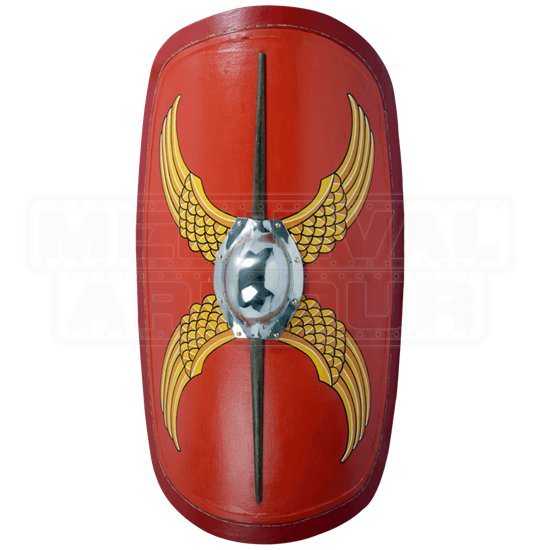 If you are looking to create a classic and authentic looking Roman legionary or auxiliary, than you will have need of this impressive shield. And even if you are not a re-enactor, you can still add this amazing Republican Scutum to your collection and display it for all to see.